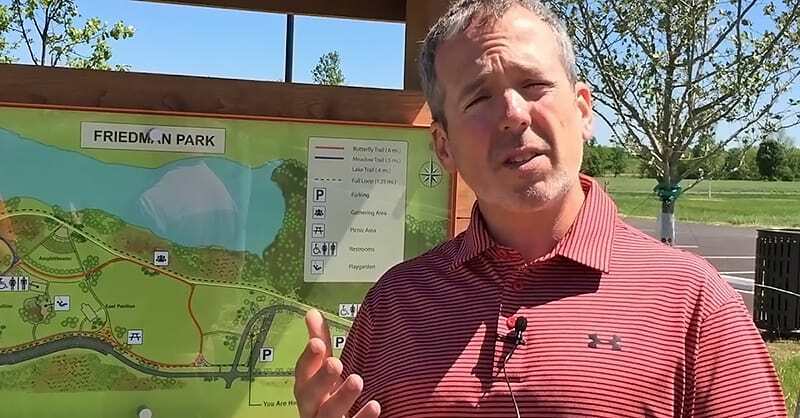 The project will be broken into six segments and will connect to existing trails and bike lanes within Warrick County. In addition, six trailheads featuring pavilions, parking, and amenities will be placed in strategic locations along the trails. 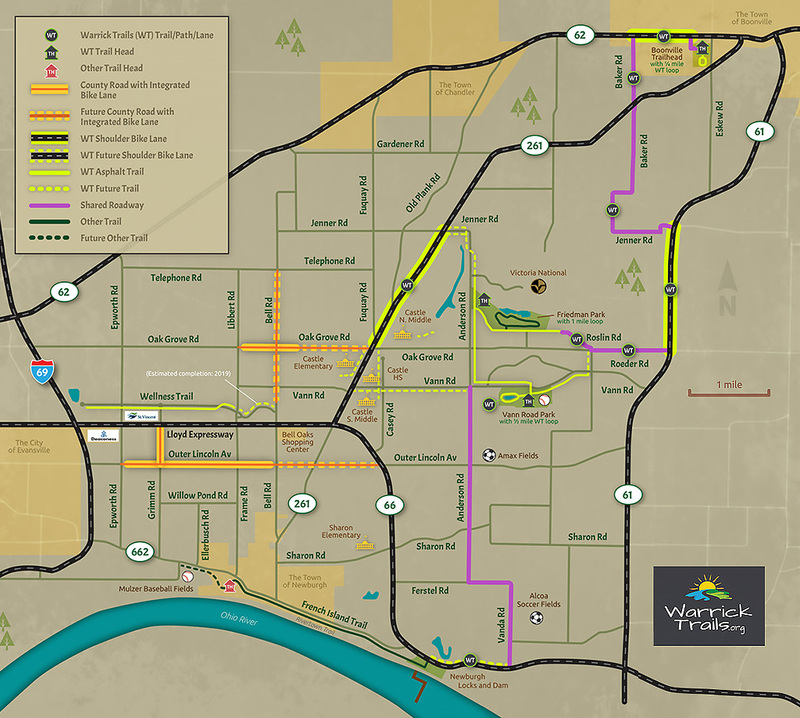 Warrick Trails will also be using a first of its kind agreement with the Indiana Department of Transportation to add bicycle friendly shared roadways to portions of state roads including Indiana State Highways 261, 66, 62 and 61. The project is set to be completed by 2019. 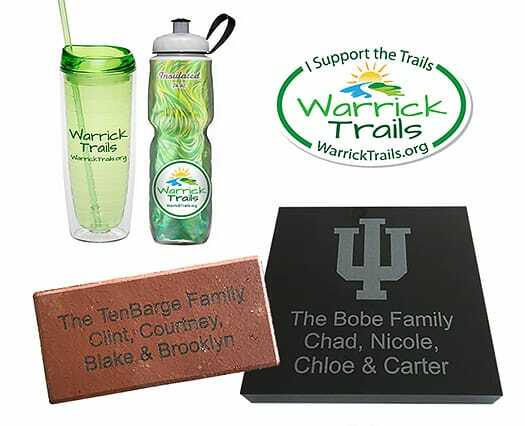 Details, updates and a map of the project can be found on the Warrick Trails Initiative page. 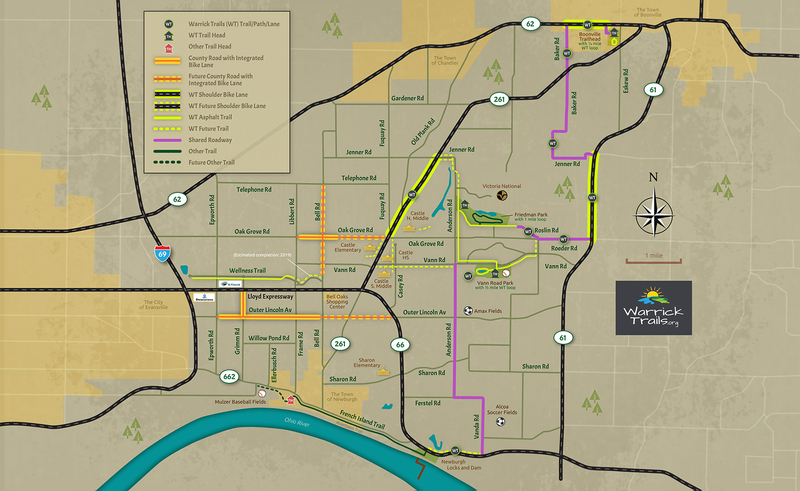 Total cost of the trail project is $10 million with $2 million in funding from the Southwest Indiana Regional Development Authority through the State of Indiana’s Regional Cities Initiative announced in April. The remainder of funds will be raised by Warrick Trails via corporate partners, grants, community donations, and through events such as Run Victoria 2017. The 5k and 10k run and walk will take place on Saturday, May 27 at Victoria National Golf course. Register today.